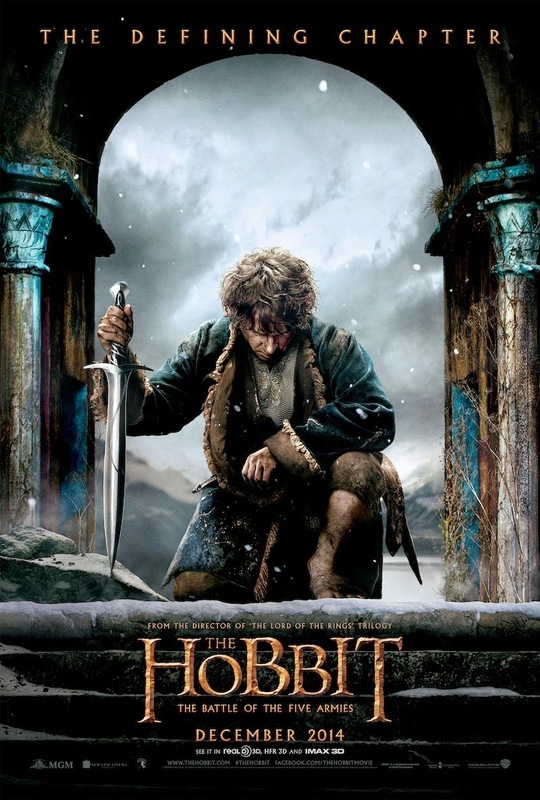 The Battle of the Five Armies is the last installment of The Hobbit trilogy and is “The Last Goodbye” to Middle-earth. The hashtag #OneLastTime is drawing fans together for a final journey to J.R.R. Tolkien’s world as envisioned by Peter Jackson. It is, to use the cliché, the end of an era. The story of Middle-earth has spanned two centuries, born in the 20th century by Tolkien, and brought to life on the big screen in the 21st by Jackson for a whole new host of fans. 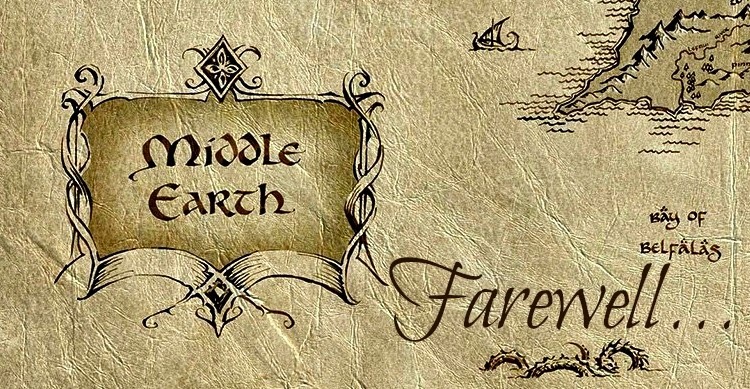 What is it about Middle-earth that draws us to it? It is a story of good versus evil, of the smallest of people overcoming a forbidding evil, of what seems desperate turned into triumph. It is a hero story, sewn together in a language all humans speak—one that says despite the seemingly impossible odds, there is always a flicker of hope. It is the depth and grandeur and genius of Tolkien’s mythology—one that began with the tool he used to tell it – language. 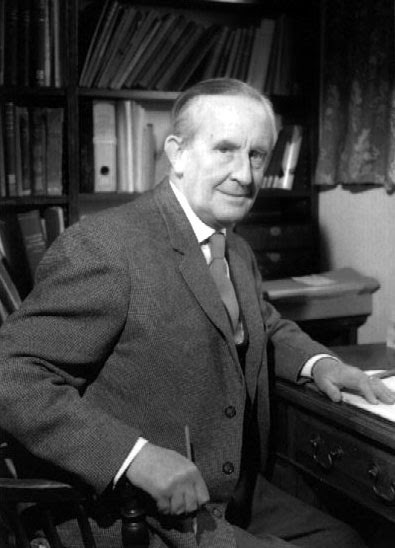 Tolkien was a professor of linguistics at Oxford University. His love of languages began when he was still a child. He created numerous languages and his mythology of Middle-earth was born as a place for them to be spoken. His other motive for creating a mythology was that he had long desired to create it “for England,” as he felt that he wanted to dedicate it to his country (Carpenter 97). His mythology was first known as “The Book of Lost Tales,” but it would later be called and eventually published posthumously as The Silmarillion. Tolkien’s linguistic background and his invented languages are the inspiration for and the foundation of Middle-earth’s very existence; they are the keystone of the people, their culture, and their stories. Tolkien’s love of linguistics and storytelling culminated with his writing of The Lord of the Rings (LOTR), which was published in 1954. 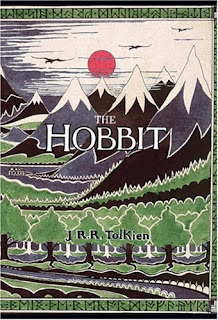 The Hobbit, published in 1937, was a children’s book, one that showcased Tolkien’s storytelling ability. Tolkien had been writing stories and told them to his children for many years and The Hobbit, when he first began writing it, was “merely another story for amusement,” a place for Bilbo Baggins and his adventures. However, “elements of [the] mythology began to creep in… it was apparent that the journey of Bilbo Baggins and his companions lay across a corner of that Middle-earth” (Carpenter 182). So began the writing of his masterpiece, The Lord of the Rings, which, as stated before, was a culmination of his love of languages and his storytelling abilities. 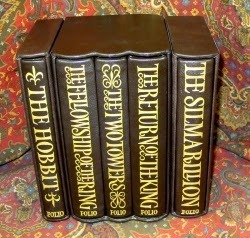 The books (which were not supposed to be a trilogy, but that’s a story for another time) were a huge success, garnering Tolkien fame throughout Britain, and especially in America where LOTR became a bestselling book and where there was a campus cult in the sixties; young Americans began to wear badges that read “Frodo Lives,” “Gandalf for President,” and “Come to Middle-earth.” Graffiti slogans read “J.R.R. Tolkien is Hobbit-forming.” LOTR was the second-most read book of the 20th century, second only to the Bible. That was the beginning a fandom fire that would be re-ignited in the 21st century by Peter Jackson’s vision of Tolkien’s mythology. The enduring popularity of Tolkien’s mythology, both in the books and the films, is due to universal themes, including human existence, courage, and hope. Dr. Patrick Curry stated that “new generations of readers [and viewers of the films] can keep on finding meanings from their own lives” (Unwin). Although we as fans are journeying into Middle-earth with Jackson #OneLastTime, the fellowship of fans that has been created doesn’t have to end. At the beginning of LOTR, Bilbo Baggins states, “I bid you all a very fond farewell,” but he doesn’t say goodbye—and perhaps there is something significant in this. LOTR ends with Samwise Gamgee stating, “Well, I’m back.” That is not an ending, nor is it a beginning. It is a continuation, one that means the story doesn’t have to end because the books are written and the films are done. As Bilbo states, “things are made to endure in the Shire, passing from one generation to the next.” The love of Middle-earth, the fellowships it has created, and the lessons that have been learned can and will endure and, like the road, go ever on and on. This is not goodbye. It is merely a very fond farewell. Lindsay Flanagan is a writer, graduate student, and mommy who lives with her husband and two daughters in Orem, Utah. Along with her borderline obsession of Middle-earth, she is a devoted Potterhead and concert junkie. You can find her at The Calligrapher’s Ink and on Twitter @LindsFlanagan. Carpenter, Humphrey. J.R.R. Tolkien. Boston: Houghton Mifflin, 2000. Unwin, Raynor. “J.R.R. Tolkien: Origins of Middle-earth.” The Two Towers Appendices. DVD. New Line Cinema, 2002. I'm so excited for this final installment.. Don't know when I'll get to see it, but I'm excited!! This is so sweet! Love the letter! Thanks, Joie! Yes, Tolkien's letters and other stories he wrote to his children were amazing. I have been so amazed as I've learned about him over the years. What a genius!